Over the past few years Rosé has gone from being snootily sniffed at to sipped and swirled with a smile. Part of it is changing fashion, but we also have the winemakers to thank for giving pinks a little more love and attention. 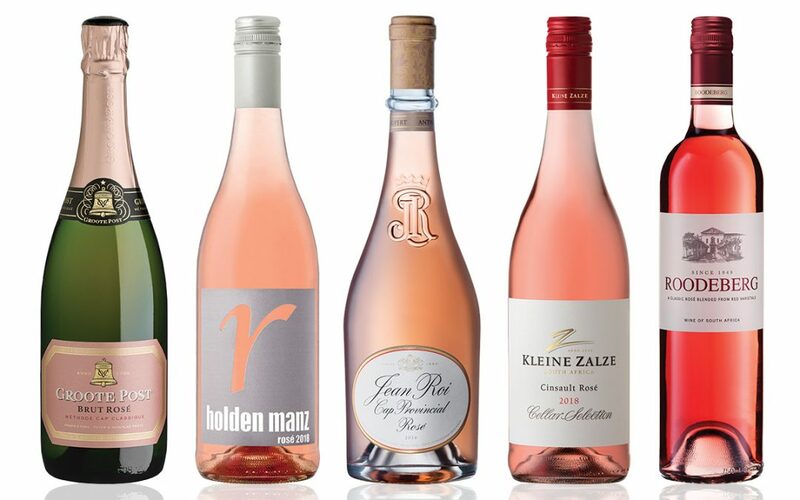 You’ll love the barely-there blush of this Rosé from Franschhoek producer Holden Manz. A blend of Grenache, Syrah, Cinsault, Cabernet Sauvignon and Cabernet Franc delivers a more complex Rosé, dry and crisp with balanced acidity and a lingering finish. Roodeberg is an iconic South African wine brand making something of a comeback, and this well-priced patio pink from Shiraz, Cabernet Sauvignon and Merlot ensures “the wine is complex enough to enjoy with rich dishes such as smoked salmon or sushi that complement the fruitiness. It’s great for a hot summer’s day”, says winemaker Louwritz Louw. With fruit picked from low-yielding old vineyards in Stellenbosch and Paarl, limited time on the grape skins produces a salmon-hued Rosé with a fresh palate and aromas of strawberry and stone fruits. Uncomplicated, it’s a wine that simply begs for another glass to be poured. An excellent value quaffer. This Franschhoek producer has set out to prove that Rosé doesn’t have to be cheap and cheerful. Made in the classic Provençal style, Cinsault, Grenache and Shiraz from the Swartland deliver a complex and entirely unique Rosé. Not cheap, but great for a festive splurge. A blend of Pinot Noir (70%) and Chardonnay (30%), the elegant salmon hue of this Méthode Cap Classique adds an elegant touch to any festive table. Expect strawberries and a fine mousse on the palate. Aged for up to 12 months in the bottle, it’s good value too.